Prosperity is back in action! Prosperity teaming up for the upcoming MMO. What are the goals of your guild? The primary goal of our guild is to enhance the quality of our members’ gaming experience within Life is Feudal. This not only includes economic or military success within our local area, but also focuses on the relationships you gain with your fellow guild members. We encourage our members to work together and share their knowledge to build friendships that extend far into their gaming careers. Success is in the eye of the beholder, and we inspire our members to achieve their goals and promote prosperity within the entire guild. What are your guild’s rules? Our guild rules are based on the expectations that our members are mature gamers that understand the basic ethical and moral requirements to be part of any community. What time zone is your guild? Our guild has members from all over the world, meaning that we are considered to be an international guild with no official time zone. You can usually find the most players online during peaks hours between 5:00pm and 11:00pm EST (22:00 – 4:00 GMT). Our YO and Teamspeak server is active 24/7, so feel free to hop on any time! What is your guild structure? To prevent any one member from gaining too much power, Prosperity is led by an imperial council of members specializing in their positions to support and maintain the guild structre. Players are encouraged to try out different professions to practice the skills they enjoy the most. We plan to design a system that rewards players for their dedication to the game, and will be based directly off in-game titles available from achieving level milestones. In our guild, hard work will be rewarded! 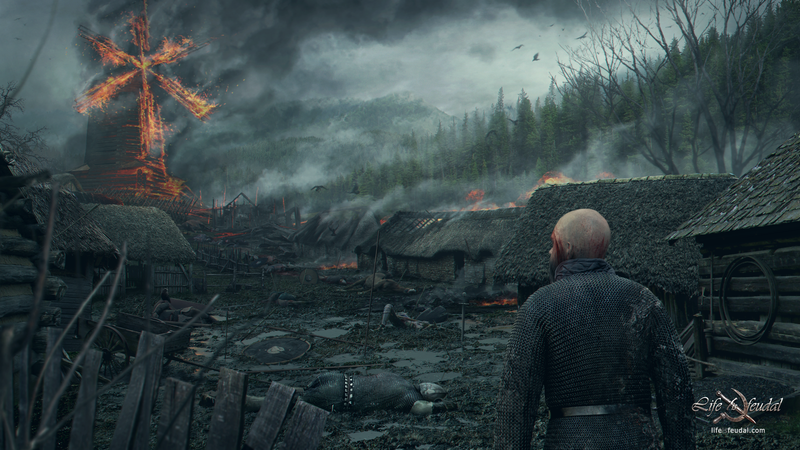 We plan to spend the majority of our time playing on the official MMO rather than the YO version of Life is Feudal. Our guild currently utilizes the YO version of the game to practice and learn game mechanics and effective tactics to thrive in the game. At this time, the server is closed to players who have not yet submitted an application. Join our Teamspeak Server to receive the password and access the server! Where can I get more information about your guild? If you still have any questions that were not answered in the above overview or on our , we’d love to hear from you. You can get more information by messaging any of the council members, but we suggest using this opportunity to meet a few members of our guild to get a better feel for how life in Prosperity will be. How can I apply to become a member? The first step in joining Prosperity is to submit an application by first posting on our , where you will be inducted as a guild recruit. After posting an application, a council member will contact you explaining how to gain access to the Teamspeak and YO server. After 7 days as a recruit, the council will decide during the next meeting if you will be promoted past recruit. If you are, you’ll be invited to join the Steam Group as a full member!